Model JDGT Full Automatic Paper Cake Tray Forming Machine is a self-innovation equipment after assimilating the technology from Italy, it’s a first-class equipment at home and oversea with the advantages of simple structure, easy operation, fast production efficiency and reliable performance. It produces paper cake tray after running the procedure of auto separate paper, pneumatic-controlled mechanical-hand clip paper, transfer to the mold, press paper to the mold and form shape with heater around the molds to produce different size paper tray and aluminum foil tray (around tray ,oval tray ,etc). 1, It is a first-class equipment at home and abroad with the advantages of simple structure , easy operation, fast production efficiency and reliable performance. 2, It has the advanced technology such as pneumatic manipulator-collect controlling paper, auto separating paper, mold punching-forming by heat, trays discharging etc. 3, Easy exchanging molds to make different sizes paper trays and aluminium foil trays. 4, It is a ideal equipment of making paper cake trays,paper food trays, paper cake cups, paper food dishes, cake plates, cake dishes and containers etc. 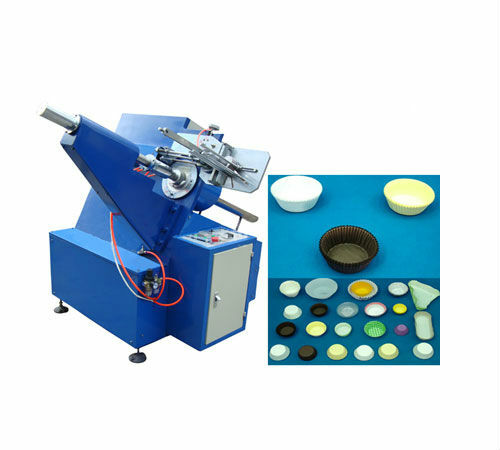 The Paper Cake Tray Making Machine applicable objects is milk, yogurt, carb onated beverages,baking cakes,etc. 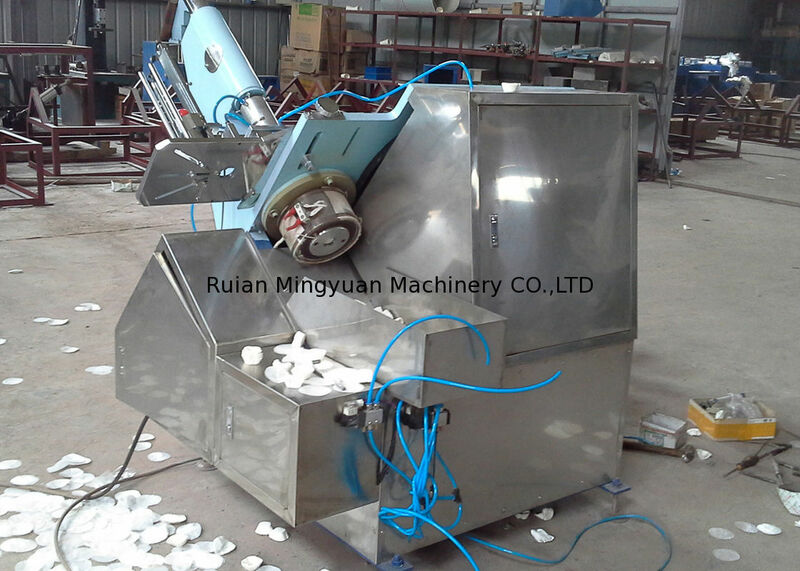 Paper Cake Tray Making Machine is suitable for paper materials of greaseproof paper,glasspaper, aluminum foil paper. we are one of the leading manufacturer of the paper cup machine die cutting machine, cup lid machine, paper plate machine etc paper product machinery and paper cup, paper plate etc paper product in China. 2. 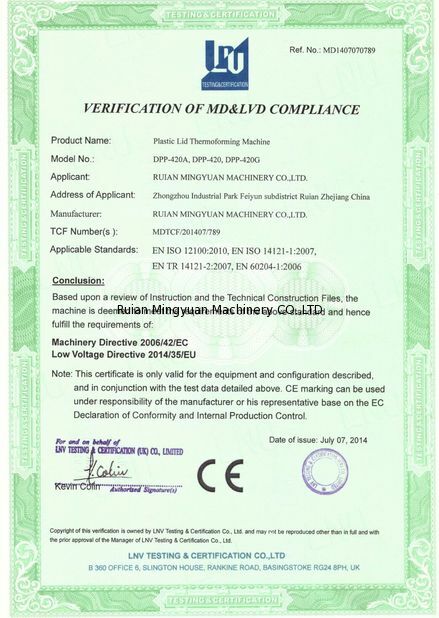 Do you have quality certificate? 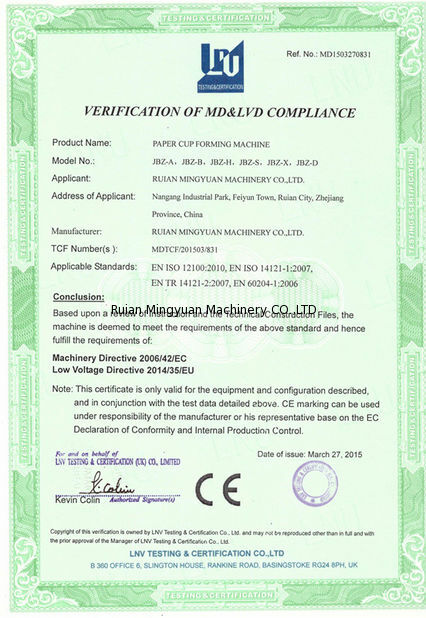 we have got the ce, sgs, certificate for our product and factory. Around 30~40 days, however, based on order. 4. where is your factory location? we are locate in Henghe industrial zone, feiyun street, ruian city, zhejiang province, china. our nearest high way exit is feiyun, our nearest train station is ruian station, our nearest airport is wenzhou airport. 3). Quality Control Department specially responsible for quality checking in each process.